Philip Seymour Hoffman is dead. Found in his New York apartment with a needle stuck in his arm, pretty much eliminating foul play or any sort of speculation over cause of death. He was 46 years old. He had three kids that were waiting for him at the park with their mother. And instead, he’s dead on the floor of his apartment. His death took me back twenty years when I heard about River Phoenix and his last hours in the Viper Room. I still have the obituary from the New York Times. It was the first time I was so personally affected by a celebrity’s death. I was overwhelmed with sadness. It wasn’t just that it was River Phoenix, that beautiful man whose face decorated my wall for years. It was his talent, his potential, that was gone. I felt cheated. There was so much I wanted to see him do, so many films I wanted to watch. I mean, he was going to be the next Indiana Jones! It would never happen. It was over. I also didn’t want to believe that he died from an overdose. Of course, it wasn’t a lie, but I refused to buy it anyway. At least for as long as I could deny the reports that were all over the news. I didn’t want to believe that someone with so much going for him could throw it away like that. Flash forward 20 years or so and now there’s another dead talent. 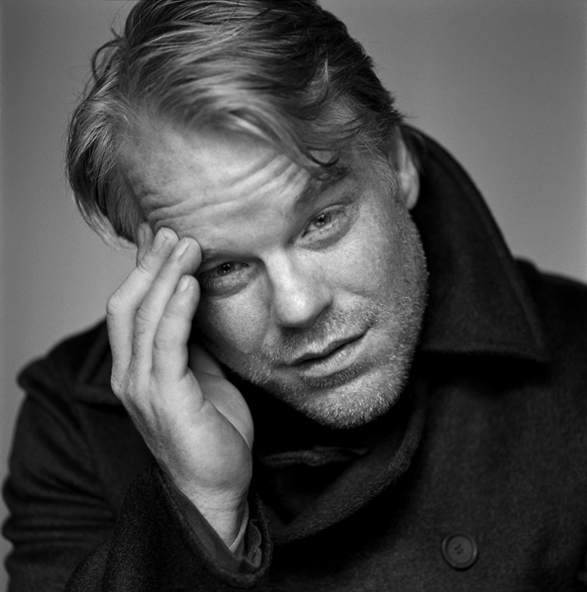 True, between River and Philip Seymour Hoffman there have been quite a number of talented people lost to drugs. But this was something different. This time, for some reason, I found myself back in 1993, remembering River. Feeling that same shock. Maybe it’s because I have a connection to Philip Seymour Hoffman. I met him before he was famous. I ran into him and said, “Hey! Aren’t you that guy from Twister?” And he said, “Yeah, that’s me.” And I said, “That’s cool. I liked that movie.” We spoke for a bit. Nothing major. I didn’t ask for an autograph because he wasn’t really anybody back then. Plus, I didn’t even know his name. He was just some almost-famous guy who grudgingly spoke to me. When he started getting lead roles, that conversation became my little “brush with glory” and it was a cool story I would retell and embellish depending on my audience. It’s true. The closest thing to addiction that I know is maybe my “battle” with nail biting. Or knowing that if I walk into a casino with $100, I’ll walk out in debt. I’ve gotten drunk at parties, but I’m hardly an alcoholic. I’ve done stupid things. But I recover. Laugh it off. Hide the pictures. I don’t know what it’s like to be alone in an apartment, desperately needing heroin coursing through my veins. I don’t know what depths of despair can put someone there, what demons wander through his head, haunting at every turn. I don’t know how someone who seems to have everything can still crave the very thing that will destroy him. I don’t understand it. It isn’t real. Not to me. But it most definitely exists. To people who have struggled with this beast.To people who have watched others spiral out of control even after years of being clean. It’s real. It’s tangible. It’s as blatant as a dead man with a needle in his arm. I don’t know Philip Seymour Hoffman to say that I’ll miss him. Beyond that one moment when he was a nameless character, I know him the way the rest of the world does. A talented actor. A haunted man. And it just leaves me so sad. And his legacy will likely now be all about how he died rather than how he lived. Very sad, indeed. I don’t know about that. I think at the end of the day, it will be just the sad postscript to a career cut short. His films will still be his legacy. wow. Great stuff to an even greater thespian! Thanks. He was one of the best. well said, Adina. It’s so true. Addiction, like depression and most mental illnesses, are not fully comprehensible to those who don’t suffer from them. From the outside we might look at someone who is depressed and think “snap out of it” or someone who’s abusing drugs and think “just stop” but it’s a whole different thing that you can only truly, deeply understand from the inside. It’s such a shame that this talented man with so much potential lost his battle. It’s sad and also common. I think that’s the worst part. It’s rampant and there doesn’t seem to be any solution to this growing problem. Working the steps is the solution, many of us struggle with similar problems to that of the alcoholic. The alcoholic suffers from a mind that doesn’t stop, and the drug of choice, be it dope, alcohol, an eating disorder, etc. Is their way of treating their ever active mind. The steps treat it as well but are harder than a quick drug fix. Best quick description I’ve ever heard of an alcoholic, came from a friend of mine who himself is in a program “an alcoholic is an egomaniac with a inferiority complex” , one can only imagine the mental hardships that come along with such a thought process. Those River Phoenix thoughts were exactly what came to my mind as I heard about Phillip Seymore Hoffman. River died the year I was I. Israel and I was beyond shocked, last week was my first time back to Israel in 20 years and that’s when I heard the news about this new death. Eerie. That’s a pretty crazy coincidence. I feel like these amazingly talented artists, actors, comedians, etc got an imbalance at the start. We, the regulars, pretty much got most things in fairly equal portions: responsibility, talent, creativity, ability to emote, communication skills, etc. Yes, some of us have a bit more of one or a few than others, but it’s fairly balanced. When you have these uber talents, the extra that went there created a negative in another area. I feel like many of these people that have died of drug overdoses are truly incapable of handling things we regular people can do easily. It is sad. That’s an interesting theory. I’m not 100% sure I agree, but it would be interesting to see if it follows in every case. Either way, it’s just a sad mess.